Congratulations, fellas. 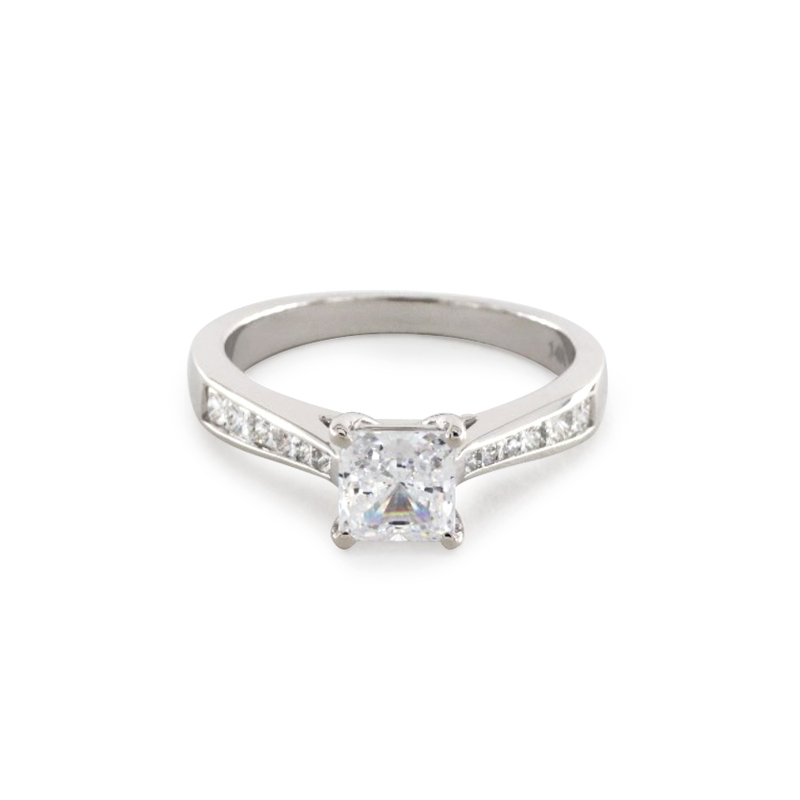 You don’t have to sit there wondering how to pick an engagement ring. You live in an era when choosing that most important piece of jewelry is easier than it’s ever been. If your girlfriend has ever thought about getting engaged, she likely has a Pinterest board full of engagement ring styles she’d just love for you to buy her. But if she doesn’t, there’s still good news. I’ll show you exactly how to pick an engagement ring in eight easy, dare I say foolproof, steps. Step 1. Look at the jewelry she owns to figure out her engagement ring style. Of course the pieces won’t all be identical, but some themes should emerge. Simple? Flashy? Classic? Old-school? Edgy? Contemporary? This may be the most important factor informing how you choose an engagement ring. Step 2. Figure out how much you can spend. OK, maybe this is the most important. Forget about six months’ salary or two months’ salary because you should never pick an engagement ring based on some antiquated notion. But I say figure out her style first because if she’s got simple taste, you don’t need to drop $10K (deep breath, you don’t need to spend that much even if her taste is more, uh, complicated; but Paul, if you’re reading this, feel free to upgrade my engagement ring to a $10,000 stunner). 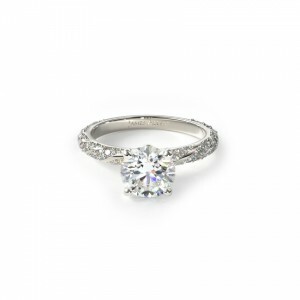 Pretty rings can cost a few hundred to a few thousand. Step 3. Prioritize your budget. Does diamond size matter? Yes, but is it more crucial than clarity (how many imperfections are in the diamond) or color (how close to colorless it is)? That’s up to you to decide. And keep in mind that different metals cost different prices, so if she likes silver jewelry, but you’re not working with a ton of money, you can go for white gold or palladium instead of platinum for the band. There’s also rose gold and yellow gold (ya know, gold gold) for girls who like some color. Step 4. Peruse the merchandise. Here’s a princess-cut diamond with channel-set diamonds on a white gold band. 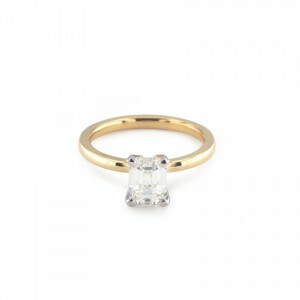 Here’s an emerald-cut solitaire on a yellow gold band. Step 5. Find her dream ring. 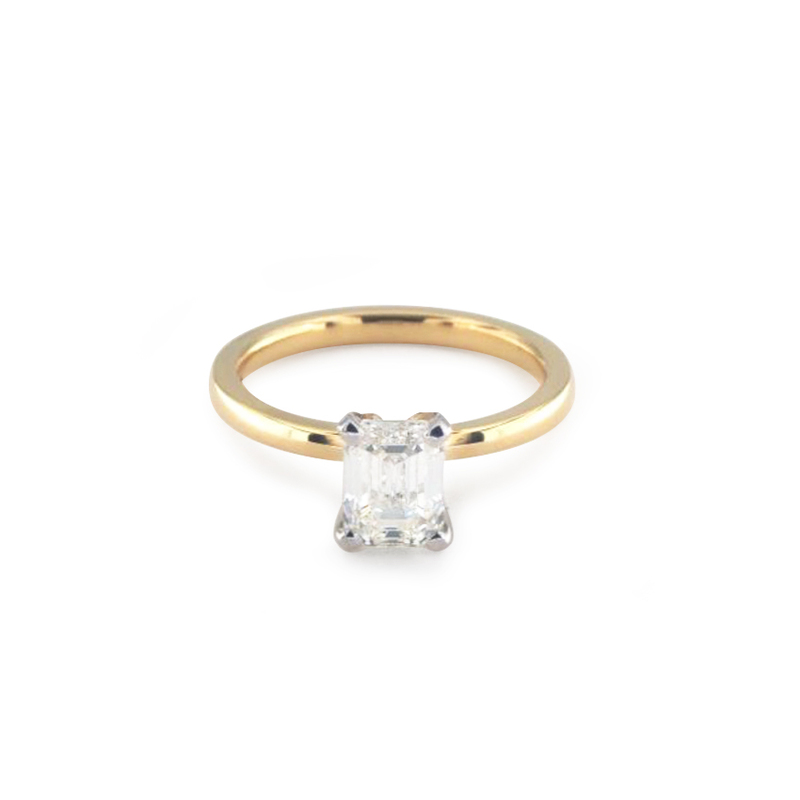 I adore design your own engagement ring tools because you can filter for the features you want without having to sift through styles you know she’d despise. Step 6. (optional, but recommended). Get an opinion. Talk to her sister, mom, or best friend. They know what she likes, but more importantly, they’ll instantly recognize what’s so not right for her. Still, the choice is ultimately yours. If you’re stuck between a few options, though, this is a good route. Step 7. Buy the engagement ring! If you order online and live together, ship it to your parents’ house or your office if you trust your workplace’s mailroom. Hide it and then break it out at the perfect moment. And that, boys (and girls), is how to pick an engagement ring. Trust me that it’s easier than picking whom you want to marry.